The HEAD LLM in Law and Business has been ranked among the top 10 Masters in Law and Business in France (Source EDUNIVERSAL/ SMBG). In partnership with the Entrepreneurship & Innovation Department of École Polytechnique, HEAD students, supervised by lawyers, work collaboratively on the legal development of start-ups. HEAD: More than a School! Our LLM programs are opened to students from all over the world who have successfully completed a graduate degree in law. Our LLMs can be followed either as an English track or as a bilingual track (50/50 English - French). Practical and interdisciplinary, our program open doors to the best law firms and international companies. 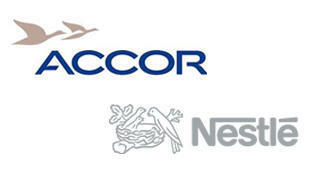 HEAD Law School is honored to announce the signature of 2 international partners : Accor, the world's leading hotel operator and market leader in Europe and Nestlé, the world's leading nutrition, health and wellness company. These new partnerships allow HEAD to develop its existing network of committed partners and its connections to the leading international companies. Learn more about Sajid's internship at Veolia in M&A department. Sajid, a US student from Boston College Law School who followed HEAD's M&A class before his internship. Read more Contact us and download documentation.